This post is brought to you courtesy of your friends at Johnsonville but all the opinions and content are mine. Cheesy chili and tomato, jalapeno dip with browned sausage and served with chips. 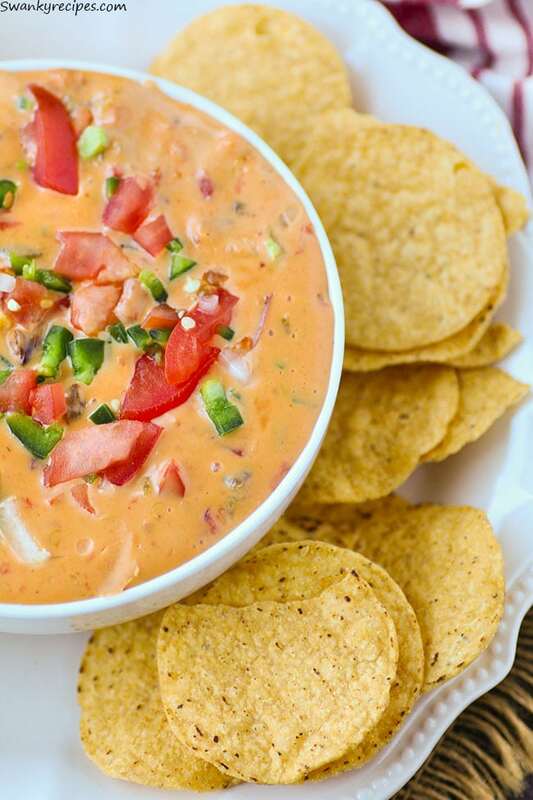 Chili Con Queso Dip is the perfect game day appetizer to feed a hungry crowd. 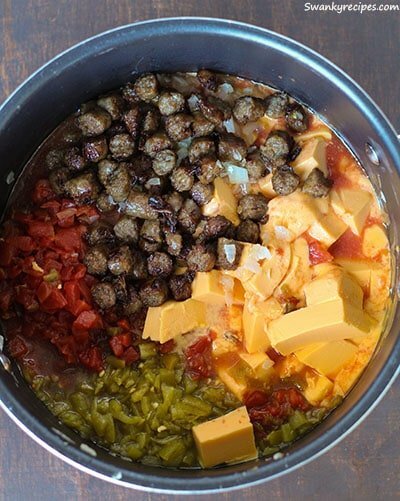 As football championship gets closer, we’re planning ahead and making this cheesy queso dip packed full of tasty breakfast sausage. It’s a fun way make this dish meaty. Our favorite green and gold team may of not made it to championship but we’ll still be celebrating! Food is a universal language that brings people together. When it comes to hosting a party, food is one of the most important things. It’s something we are all familiar with and it’s something that traditions can be formed from. It’s much more than impressing someone but rather something pleasurable we can all relate to. Sausage is something everyone loves and that’s why we’re naming this years big game day as Sausage Bowl. 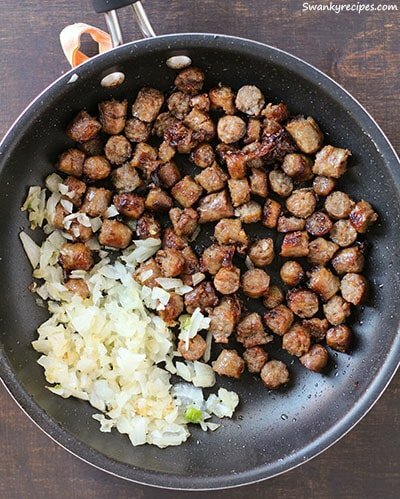 We’re using Johnsonville Original Breakfast Sausage to cut down on cook time. Using it is both convenient and delicious. The breakfast sausage adds a lot of additional flavor and depth to the dip. In fact, no additional spices from the cabinet are used in this recipe. 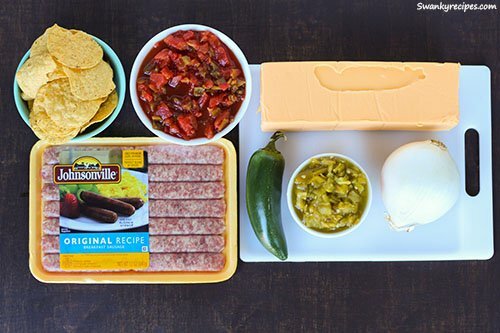 The sausage is packed with flavor and the jalapeno adds some fresh heat to the dip. To make this recipe, start by browning the sausage in a skillet. Using a spatula, chop up the sausage as it’s being cooked. Meanwhile, brown the onions in some oil. Add the garlic and chopped sun-dried tomatoes, if using. Place the cheese in a big pot over low heat. Add in the tomatoes, chiles in juice, sausage, chopped onions and sun-dried tomatoes. Allow cheese to melt, stirring it frequently. Add in diced jalapenos and serve with chips. So what are the top tips for hosting a party? Of course, food is at the top of the list. I love to serve a little bit of everything. Most important, it’s stuff that everyone likes and easy to make. Rather than having one super difficult recipe to make, I like to have a few quick and easy food options to serve to guests. Convenience is equally important. 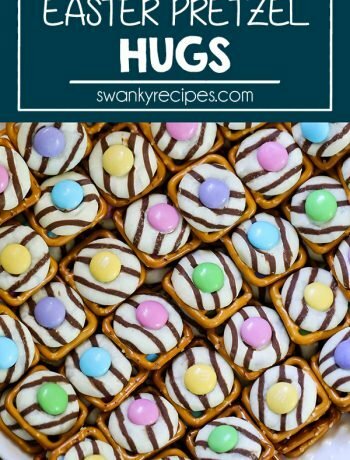 Always stick with recipes that are easy to shop for and just as easy to make. I love to incorporate fresh ingredients I may have left over in the refrigerator. Plan on making food a day or two ahead of time to save on time. Use pre cut vegetables and prepared meats. Second is entertainment. Whether it’s a football game or music, it’s a good idea to have a few fun games for guests to stay entertained. Sports games are a huge plus for any party. Location is at the top of the list, too. Have a place where guests can feel relaxed. It should be some place where you won’t be kicked out of. It should be a place where in case it rains, guests can move inside to continue the party. Pick a party theme and have fun with decorations. If you’re looking to take your game day recipe to the next level, start by shopping for Johnsonville Breakfast Sausage. I was able to get in and out of Walmart® quickly with this short list of ingredients. 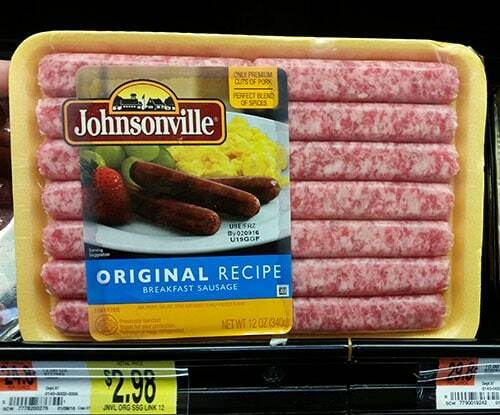 Did you know Johnsonville is the number one brand of sausage in America? Food is what brings us together. Be sure to have plenty of it for game day! 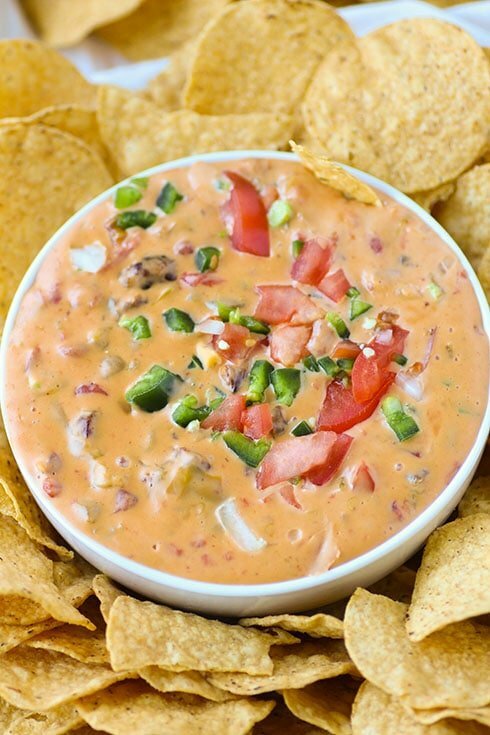 Every #SausageBowl needs Chili Con Queso Dip. 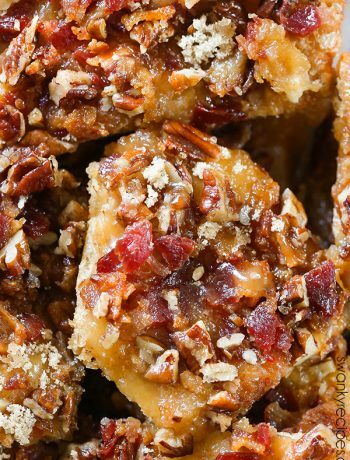 What are your must have appetizers for game day? Is it sausage-able? In a medium skillet over medium heat, brown sausage, breaking it up as you go. Drain once cooked; set aside. In a large pot set over medium heat, brown onions, minced garlic and sun dried tomatoes for a few minutes with a little oil. Cube the cheese and add it to the pot. Add diced tomatoes in juice and green chiles in juice and breakfast sausage. Cook over low heat, stirring occasionally until everything is melted mixed together. Add diced jalapeno and serve dip with chips. Oh yum! This is right up my husband’s and my alley! 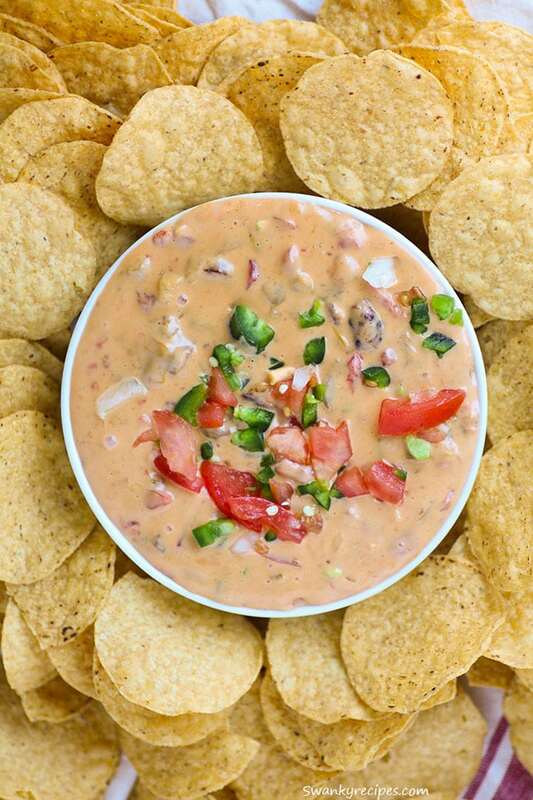 We snack on dips all the time. Hubby loves this too, thanks Robin! This looks amazing I love chilli cheese. This could go well with our Shepherds pie today as an alternative sauce! My Patriots didn’t make it to the SB this year, but I guess I’ll still watch. 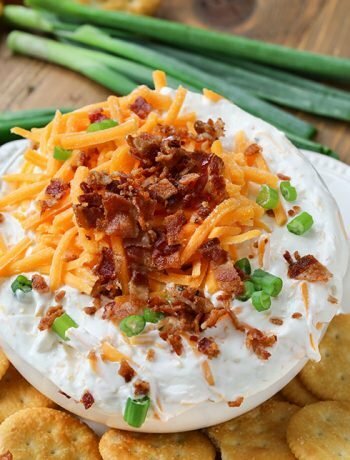 This dip would definitely make it easier to watch! This dip is incredible, thanks, Laura! OMG this looks so good. I have to try it. The recipe looks amazing! I am chili fan!